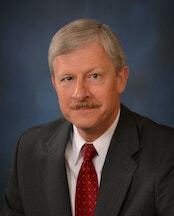 Gary Eiben is a Senior Partner in the Litigation Department. Mr. Eiben concentrates on litigation and trial practice in the state and federal courts of Northwestern Pennsylvania. His experience encompasses a wide variety of litigated matters. This includes both the personal representation of injured individuals and the defense of personal injury claims. Mr. Eiben has also practiced in the areas of contractual and governmental litigation, dissolution of commercial and professional organizations, and zoning and other land use claims of property owners. Additionally, Mr. Eiben is an acting member of the Education Law Group. Much of Mr. Eiben's practice has focused on the representation of nonprofit and charitable organizations in the areas of healthcare, social work and education. This has required expertise in such areas as local real estate tax exemption, and privacy of healthcare and educational information. He has counseled public school districts in matters as diverse as constitutional claims, taxation, and administrative proceedings relating both to students and employees, and has guided charter schools through the formation of new schools and ongoing operation of their programs.